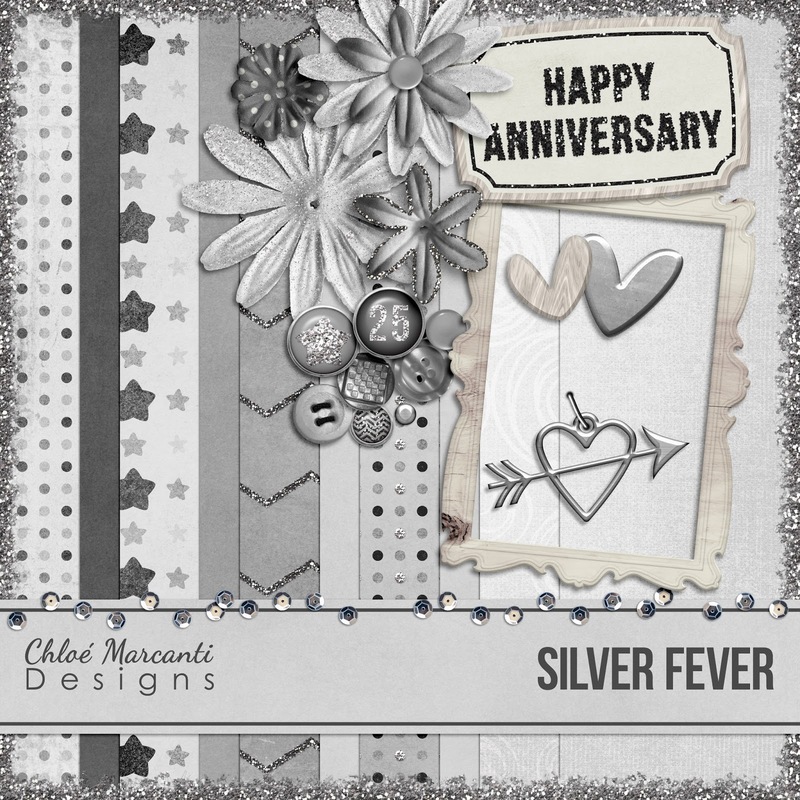 Last but not least, here's the third and final part of the Silver Fever mini kit! Click here to download the last part of this mini-kit: the elements! I hope you'll enjoy this freebie and you'll leave me a comment to let me know you do. Oh, and of course, if you scrap with it, I'd LOVE to see your creations! This is so pretty!! I am going to be renewing my vows soon and this kit will be perfect!! 25 years!! It seems so amazing that much time has already passed!! Thank you for sharing!!! This is beautiful! And I just saw the gold one too. They are both lovely. Thank you so very much for both! Chloe, thank you for the elements to the beautiful kit. The kit is quite striking. Thank you for the beautiful Anniversary kits. I couldn';t load part one of the You are Golden because Media Fire isn't working. Or at least the Gotcha part isn't working. I have no problem with the few seconds watching the video and then clicking Authorize download. But the Gotcha screen isn't working. I tried to find a way to let them know but I can't find a contact us button either. Thanks for all the gorgeous parts to Silver and two parts of the Golden one. I look forward to using them in an album I'm making. I just saw this one -- Chloé this is lovely; just like the Golden Anniversary one! Thank you for sharing it! !